The neighbourhood of Moravia grew as an illegal settlement of communities that arrived in the city in the 1960s. The municipal dump "El Morro", established in the area in 1977 and closed in 1984, became a source of neighbourhood's survival, based on the recuperation of recyclable materials. 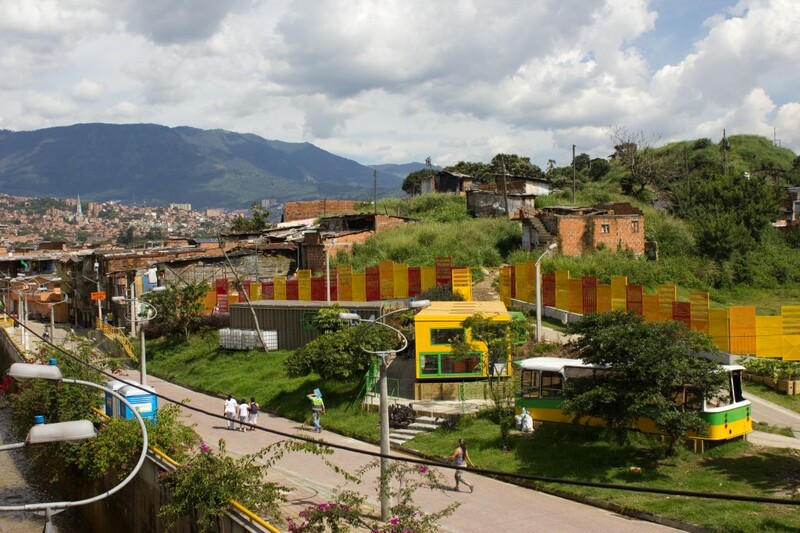 In 2004 the Municipality of MedellÃ­n under the guidance of mayor Sergio Fajardo, began an integrated strategic plan to promote development through actions aimed at recovering the urban area and improving the social and environmental conditions. A sign of the neighbourhood's rebirth is the Centro de Desarrollo Cultural de Moravia / Cultural Development Center of Moravia (CDCM), whose aim is to promote culture, education and arts. Beyond being a process of architectural design, the cultural node gives a possibility of decentralising successful activities of the CDCM. The main objective of this process, that expands the range of existing cultural institution by multiplying its space with temporary cheap structures, is to increase access to cultural activities for community and strengthen community development processes. 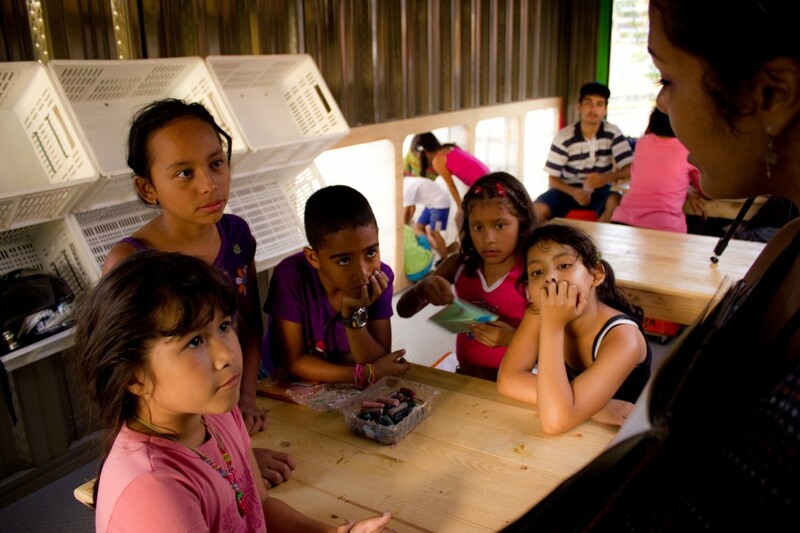 The project has become prototype to explore possibilities of similar interventions in other neighbourhoods in Medellin and beyond.